We are pleased to offer this free workshop called Raising The Bar taught by Brent Anderson, Founder and CEO of Polestar Pilates®. 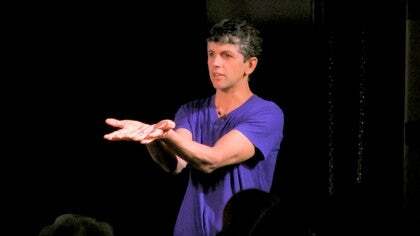 A doctor of physical therapy and orthopedic certified specialist for more than 13 years, Brent is a leading authority in performing arts medicine and Pilates-evolved techniques for rehabilitation. He lectures widely at national and international symposia and consults with professional dance companies, schools and conservatories throughout the world. 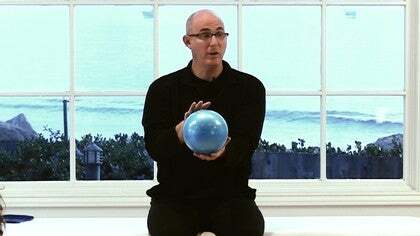 In this workshop, Brent reflects on the profession of Pilates and the role of the Pilates teacher. Brent's objective is to discuss ways to develop your personal growth in a manner that honors where you are now and benefits your personal goals and the goals of your clients while raising the bar of professionalism in the Pilates community as a whole. This was such an important and inspiring workshop.Thank you Brent for sharing your knowledge and personal experience with such humanity and intelligence.I was reminded of your workshop in Athens Greece and when you spoke of how important it is for teachers to be aligned with kindness and compassion......and thank you Kristi for giving us the opportunity to learn from so many wonderful teachers. It is my absolute pleasure and honor to host Brent as well as all the other "big kids" that have agreed to come to my play ground. I'm so glad you are enjoying it too Michelle. I appreciate this workshop so very much.. There are alot of days I feel so alone with my Pilates and I feel like I have nowhere to turn. I spend alot of hrs researching and looking for clues and answers to concerns I have with clients. Thank you Brent for giving me so much to think about. I realize I need a mentor so badly. Working from home can be so isolating and this opened my eyes to alot of things I have been worrying about lately and has inspired me to try and reach out for help and get out of this box I have created for myself. I want to do the very best that I can for my clients but somedays it does get overwhelming. THanks Kristy for this workshop! Brent is just wonderful and would love to hear more and more from him!!! Bring him back! Fabulous workshop. I intended to just sit through 2 or 3 chapters but couldn't take myself away. Thankyou, Brent, for making the spiritual not so 'out there', and explainable through science. And thankyou, Kristy, for bringing us this workshop and for all you do with Pilatesanytime.com. Excellent workshop Brent! The content is rich and so relevant to our profession at this time. Thank you for pointing to the distinctions between novice and experts. I am particularly grateful for your beautiful leadership in bridging the essence of spirituality into the matter of working with the body of alignment. I love the intelligence and elegance of your presentation. Awesome! How long is this entire workshop? Priceless workshop. Thank you so much!!! Dear Periwinkle ~ the workshop is 3 hours long and is split into 10 chapters. You can watch the workshop as many times as you like. Like the poster above (Louise), I intended to watch for a half hour and come back later, but ended up watching the whole lecture at once. Really enlightening. His stories and analogies kept me interested, and his humble demeanor shows us all it's ok to "not know" sometimes. It also motivates me to sign up for my next continuing education training! Thanks so much!